Réveillon is an event that the French students from West Lafayette High School host every year. In France, when families return from the Midnight Mass on Christmas Eve, they hold a late night feast known as Réveillon. The traditions around France vary, but all regions feature grand feasts. Réveillon is known for bringing families together to celebrate the holidays. This comemoration is also used to acknowledge religious traditions and blessings. 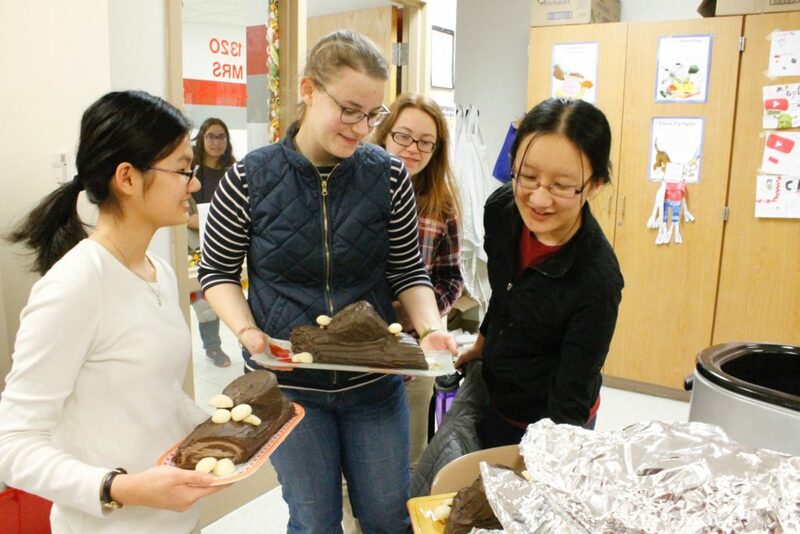 CLASSIC TRADITIONS: Leah Criss, Ana Rahgeb, and Yukai Bao handle their Buches de Noel with care. “The Buche de Noel is like a traditional log cake that’s eaten in France around Christmastime,” explained Ana. 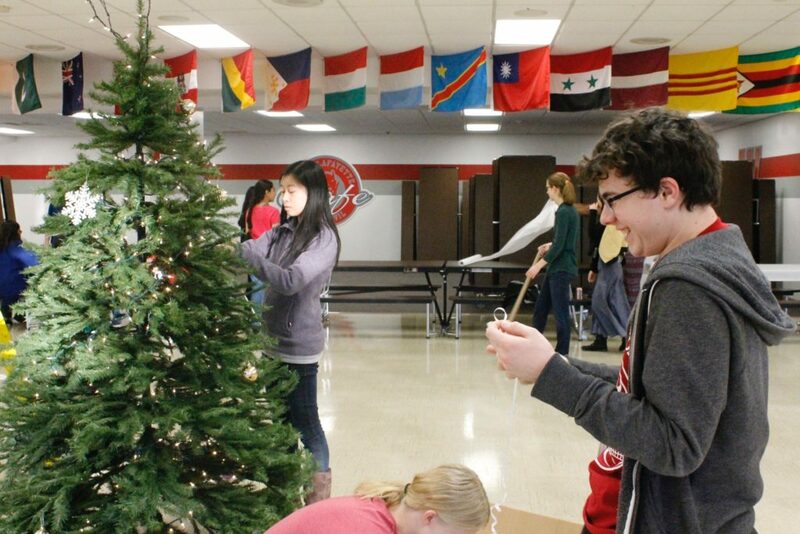 SPARKLE AND SHINE: Parker Smith, a member of the decorations committee, helps hang some ornaments on a tree displayed in the center of the cafeteria. “Our theme this year is purple and silver,” said Parker.